Despite “no trespassing” signs climbers have been observed crossing the creek on the pipe at the traditional (pumphouse) parking for the Pentapitch/Coalpit areas. This pipe crossing is dangerous and a slip could be fatal. This area is privately owned and the SLCA has a positive relationship with the landowner. Help us continue this amicable partnership by accessing these areas from the pullout near Lisa Falls, it is located .9 miles up-canyon from the pumphouse and 2.5 miles from the park-and-ride. We have recently learned the bridge near Lisa Falls is closed and likely the entire trail on the south side of the creek. We will update our web site when we get confirmation. Sorry for the confusion. Down-canyon, the bridge leading to the south side near the Buzz bouldering area has been condemned by the Forest Service. Signs have been posted promising fines for tresspassers. We ask that you obey these signs and find an alternate route to your destination. Joes Valley Clean-up, May 7th, 2011. A fly-fisherman has organized a clean-up for the left fork of Joes Valley and has reached out to climbers to help. We will be meeting at the Orangeville Food Ranch at 10 AM and heading up to Straight Canyon (AKA the Left Fork) from there. Joes Valley needs attention, climbers are a visible user group and we should all pitch-in to help. Spring is back in the Wasatch and so are the scum that break into cars in the canyons. On Saturday the 26th thieves broke a window of a climbers car at the Gate buttress parking and stole a purse. Keep vehicles free of valuables, or at least keep valuables out of sight. Some climbers have been known to keep all loose change under the floor mats and the glove box open and empty. It’s our responsibility to protect the area that we all love and enjoy. Come out and give something back to Moe’s Valley. With increased traffic, it is naive to ignore the increased impact we are having on this amazing place. It is our responsibility to mitigate this impact by raising public awareness, building new trails, and cleaning up the trash. Moe’s Valley is being annexed into the City of St. George. We must be responsible stewards of the area, and cultivate a positive public image to retain access. The 4th Annual Hammers Inc. Art Festival is coming up December 3rd, 2010, it will be held in downtown SLC on the NW corner of 100 S and Main St. from 5-10pm. There will be parking south of the building, additionally Trax has a stop right in front of the door for all those wishing to come green. This year the festival is an amazing mix of photographers, painters, installation artists, and video. All of these artists will come together for the evening to exhibit their work and help raise monies for the Access Fund, a land conservation group focused on maintaing access for human powered recreation. Working closely with the Access Fund and Petzl America we have designed an evening of raffles, artwork, and music. We will be showing highlights from the newly released fundraising video All Access, featuring cinematographers such as Josh Lowell, Mike Call, and Guillaume Broust. This video will be available to purchase at the event $10 for 10 videos with all proceeds going to the AF. The event is open to the public and donations will be accepted at the door. Please send all inquiries to garrett (a) hammersincphoto.com or contact 801.706.1778, if unable to attend feel free to send donations. Created the following page last year as I was curious about trends in the forecasts. Just an FYI. On Friday, September 17th, a homemade bomb was discovered in an latrine near campsite number six. The device was placed next to and behind the toilet seat. The local rangers and sheriff are investigating. No word yet on motives or the destructive capacity of the device. Based on what little information we have received it sounds like the device was an “acid bomb”. Instructions for making these bombs are common on the Internet. Luckily, the Maple Canyon rangers cleaning the latrine had been educated on the existence of these devices and identified the threat. A hazardous materials team safely removed the device. These bottle bombs can be any size sealed plastic or glass bottle and often have aluminum foil or handwarmers inside to catalyze a chemical reaction. Generally they must be shaken or agitated to explode. Adventure enthusiasts and climbing junkies alike must not miss The Fifth Annual REEL ROCK Film Tour on Wednesday September 29th, at the Tower Theatre, 7pm. 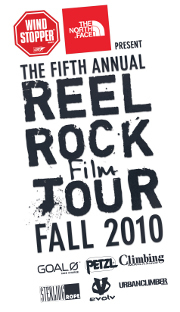 The REEL ROCK Film Tour brings the best in climbing and adventure films to local audiences across the globe. REEL ROCK shows are spirited events where climbers and outdoors lovers come together to celebrate and sample the ultimate in adventure filmmaking. Prize giveaways, appearances by top climbers, and fundraising for non-profit organizations are always part of the party at REEL ROCK events. I received an email detailing a potentially hazardous anchor setup that is proliferating in Maple canyon and in particular the Zen Garden and Pipe Dream areas. 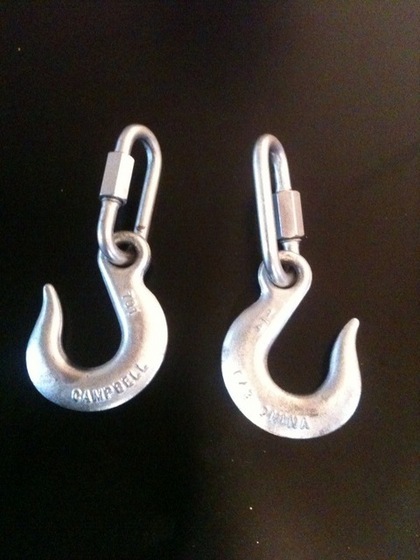 If you are placing these anchors please discuss pros/cons of these hooks with Jeff at Momentum, on Mountainproject, or in the Utahclimbers.com forums. 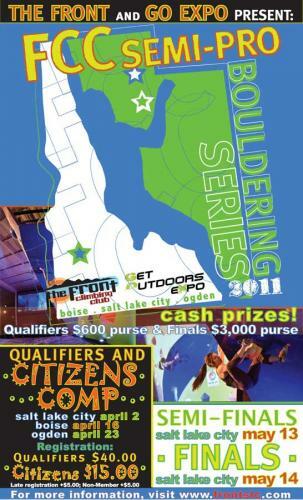 We are pleased to announce Black Diamond’s 1st Annual Salt Lake Climbers Alliance Fundraiser. This year we are celebrating the alpine spirit of Seth Shaw with a night of music, food, slide shows, friends and fun. Join us Thursday, May 20th 2010 from 6-10 PM at the Black Diamond courtyard at 2084 East 3900 South, Salt Lake City. Food and beverages will be provided by Desert Edge Brewery with Lortsher & Vlasic doing the catering. There will be stories, a raffle and slide shows by Doug Heinrich, Drew Bedford and the SLCA. Tickets per person will be $30 before May 15th and $35 after May 15th, premium tickets are $50 and cover entrance to the event, an SLCA yearly membership, t-shirt and gym passes. (While they last!) Tickets can be purchased at the Black Diamond retail store located at 2084 East 3900 South or I.M.E. located at 3265 East 3300 South. The SLCA would not exist without the generous support of the climbing community, our sponsors and individual climbers like you! Please help us continue our efforts to protect access and maintain crags by attending this fun event.